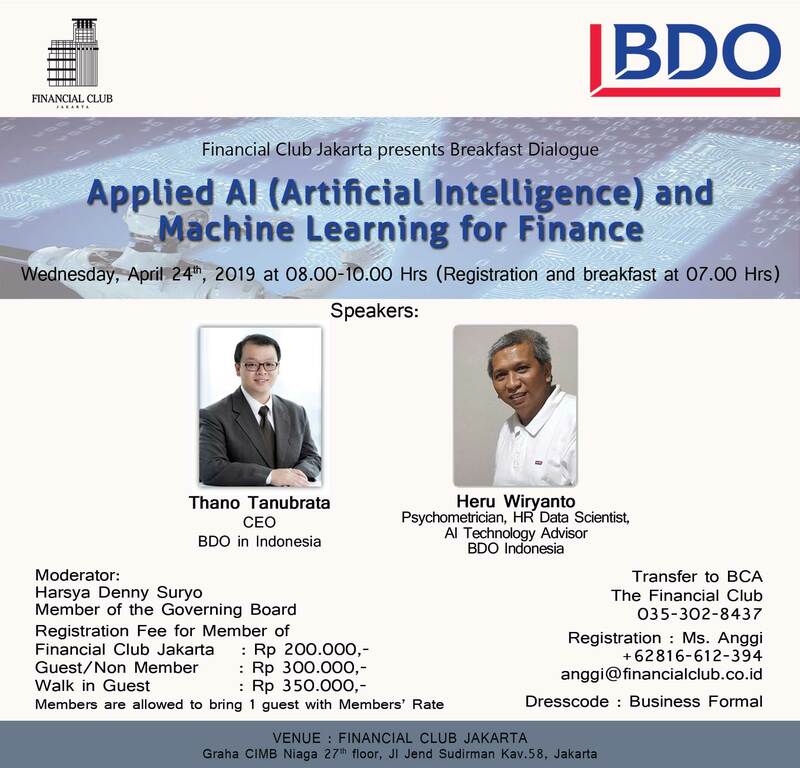 Breakfast Dialogue "Applied AI (Artificial Intelligence) and Machine Learning for Finance"
AI and Machine Learning for Finance is a guide for practitioners entering the finance field. It shows how to solve some of the most common and pressing issues facing institutions in the financial industry, from retail banks to hedge funds. This dialogue discuss about deep learning but also covers a range of other machine learning and analysis tools, such as R and python libraries/ packages. In this breakfast dialogue of Machine Learning for Finance is show the many of the problems and providing working solutions. This dialogue gives the participants insight to become confidence and the experience to go ahead and tackle real life problems. The financial industry was an early adopter of Artificial Intelligence and machine learning. Today, the industry is in a process of enormous change with nimble startups now serious competitors to centuries-old banks, and passive investing soaking up assets under management like a sponge. Meanwhile customers are expecting more performance, faster, and at a lower cost. The industry is adopting automatic, data driven algorithms at a rapid pace, and Machine Learning for Finance gives you skills you need to be at the forefront.